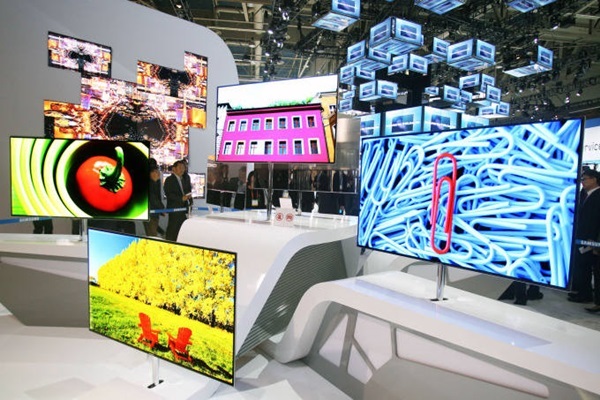 Samsung Display is going to decide on mass-production technology for OLED panels for TVs in May. It is important to decide on a technology that can produce OLED TV panels with higher level of technology at a lower cost. According to display industry on the 22nd, Samsung Display is currently testing a technology that combines CVD (Chemical Vapor Deposition) and inkjet printing device. It is going to decide on an exact technology by May after getting results from its tests. Samsung Display is currently developing a technology that can mass-produce large OLED panels by using a method that uses organic CVD and inkjet printing method alternatively. Because organic material is weak against heat, its performance can be lowered or its substance can be deformed while deposition and etching processes are repeated during patterning process. Due to this reason, Samsung Display is currently examining a method that forms patterns by spraying organic material with inkjet printing method after CVD process. Because material and organic material do not tough each other during etching process, problems such as deformation of quality and others do not occur and patterns can be formed in detail. While Samsung Display had used 5 layers by repeating CVD and inkjet printing process earlier on, it reduced layer of organic material patterning to 3 layers of CVD, inkjet, and CVD. Samsung Display is currently testing this technology by using CVD device from Applied Materials and inkjet printing device from Kateeva. A reason why Samsung Display is mixing inkjet method with deposition process is because it wants to reduce production cost while increasing performance. Samsung Display is currently preparing for mass-production of large OLED panels by using WOLED (White OLED) method. It believes that by using WOLED method, it can greatly reduce production cost compared to LG Display, which is currently mass-producing OLED panels for TVs, and secure competitive edge in markets. It is heard that Samsung Display is going to draw results from its new deposition process technology method that is currently being tested internally by May. It is going to finalize on its plans on investments for mass-production of OLED TV panels after looking at the whole picture of level of mass-production technology, overall cost of processes and others. 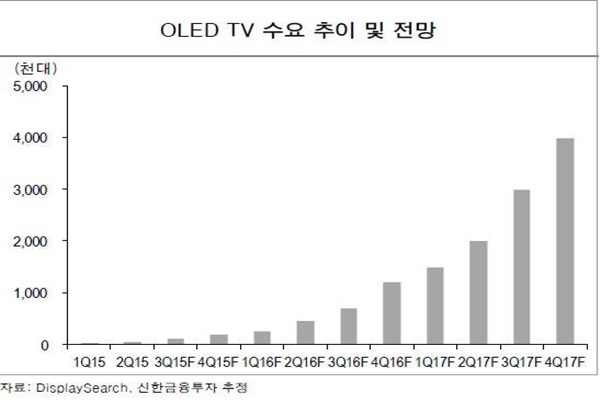 Industry is predicting that Samsung Display is going to carry out small amount of investments for mass-production of large OLEDs. As investments are immediately needed for small flexible OLEDs such as Smartphones, automobiles and others, investment for large OLEDs is going to be around $2.44 billion (3 trillion KRW). Process of stabilizing yields and processes is needed by starting off with small amount of investments in early stage.